Content marketing is a marathon, not a sprint. If you don’t have a content strategy as your map, you’re just running in random directions, and more than likely you’re never going to reach your goal. 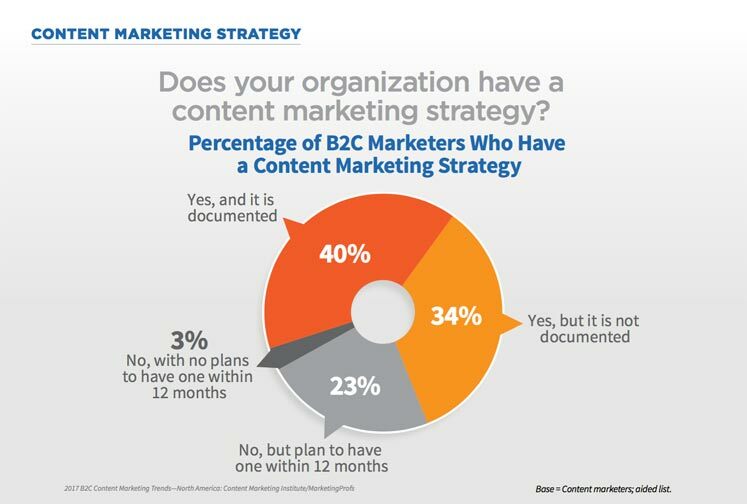 Amazingly, most content marketers are running their marathons without a map. 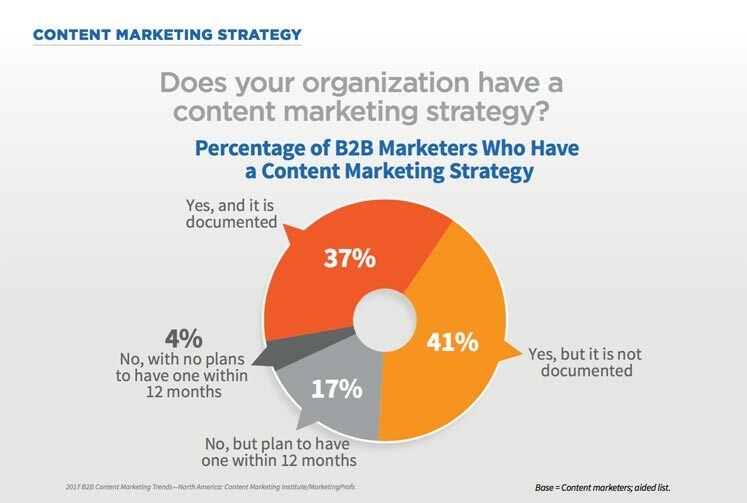 According to the Content Marketing Institute’s 2017 Trends report, only 37% of B2B and 40%of B2C companies have a documented content strategy. So if the minority of companies are documenting a content strategy, why should you bother putting the time and effort into creating your own? In other words, a documented content strategy guides your team to deliver real business results, and gives you the metrics to prove that your content marketing efforts are positively impacting the company’s objectives. Does that sound like the type of team you’d like to be a part of? If so, let’s dive into how to get there. Here are the 7 essential steps to creating a great content strategy. Start at the top with why your role and your department exist: you support the objectives of the business. Many marketers see the obvious business objectives of increasing sales and leads. 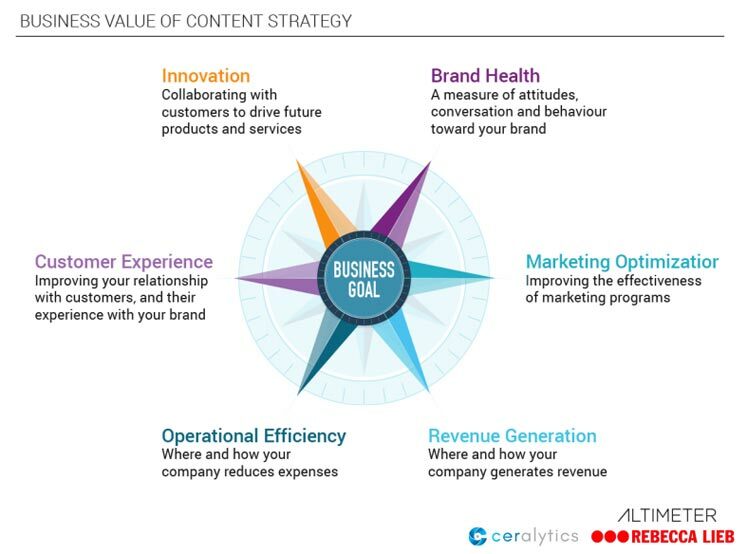 However, strategic advisor and all around marketing guru, Rebecca Lieb, formerly of Altimeter, cites that the business objectives of content marketers go well beyond increasing revenue for the organization. Brand health is largely focused on trust. Your content marketing builds trust by delivering value to customers and prospects at no cost to them. This is one of the inherent benefits of content marketing, so make sure it’s one of your objectives. 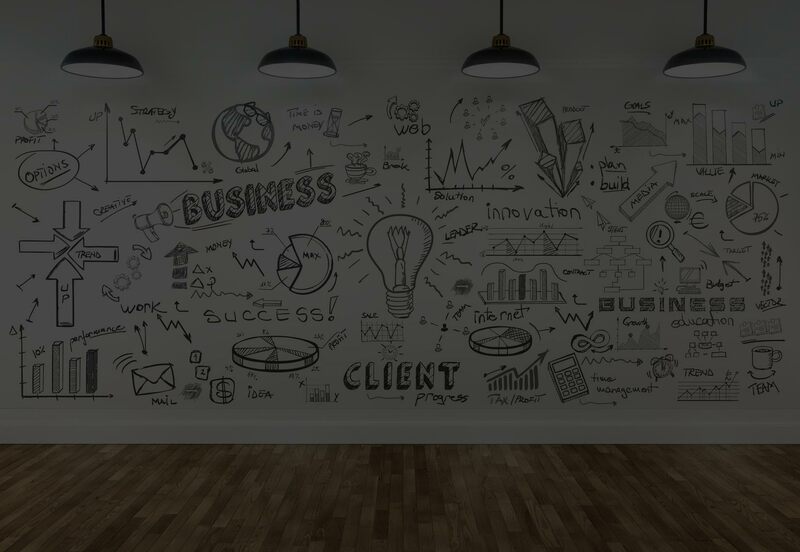 Improving the effectiveness of your marketing programs includes finding more effective channels and methods for delivering value to your audience. Content marketing can uncover new trends in the industry and isolate the language that is most appealing to your target audience. This information can then be fed back into other marketing initiatives such as PPC, email campaigns, paid media, etc. The result: more effective campaigns across all of marketing. Revenue generation is a common marketing objective. Content marketing opens new channels and means to drive revenues that traditional paid advertising may have missed, such as organic SEO and organic social media. Increasing operational efficiency includes cost controls, risk management, employee engagement, scalability, etc. How does your content strategy help reduce costs not only in marketing, but across other departments such as customer support and product development? Improving the relationship between your customers and your brand is well-suited for content marketing. Deliver easy to digest tips and tricks to them and use content to answer common questions they have about your products. Customer support is a large cost center in many organizations. Utilizing content marketing to reduce the need for customer support impacts the previous objective of increasing operational efficiency. 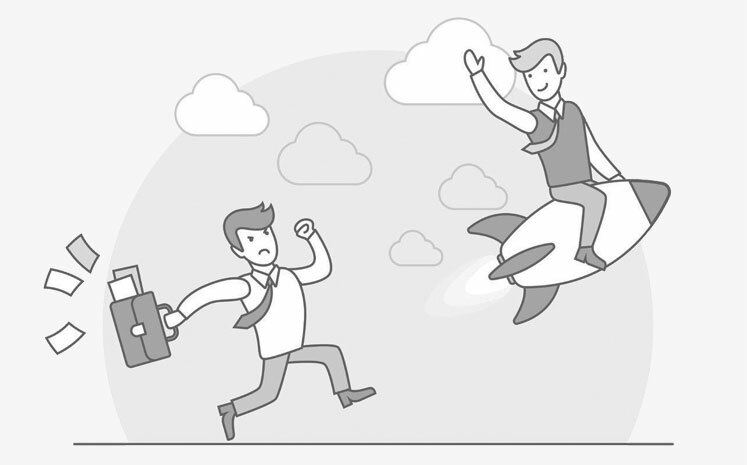 Content drives innovation by getting quick feedback from customers and prospects. Solicit ideas and engage with your community to learn their true needs. Then deliver this information to the proper departments who can create those solutions. This step is key to an effective content strategy. Without proper metrics in place, you have no way of knowing if your strategy is working toward your business objectives. Identify the metrics that measure the impact you are having on each of the business objectives. Despite this step being the key to an effective content strategy, it is one of the most overlooked in content marketing as 65% of marketers struggle to measure content effectiveness. This is mostly because content marketers try to measure the success of their programs after the programs launch. As a result, 59% of content marketers don’t know what successful content marketing looks like in their organization. You may already find yourself in the position that the majority of content marketers are in when it comes to measurement. Don’t fret. It’s never too late to take a step back and re-evaluate your business objectives and metrics. What are your audience’s demographics? What are their ages, job titles, genders, etc. These are the basics of your audience and often help in determining some of the positioning you use for your content. But don’t stop at these simple classifications. Below are the true defining characteristics of your audience that will help you truly understand who they are and what they need. This often trips up marketers and product developers who see surface pain points but don’t always dig deep enough to understand why their audience has that pain point in the first place. Harvard marketing professor Theodore Levitt once said, “People don’t want to buy a quarter-inch drill. They want a quarter-inch hole.” Scott McKelvey takes this further by explaining the results of those holes are shelves, which store things, which tidied up his house. That’s the true pain point. Understanding the true pain points of your audience opens new opportunities to market to them. In the example above, the need to have a tidy house opens up new opportunities to market other projects and products. Is your audience savvy to social? Do they rely almost exclusively on search engines? What do they read? What industry publications do they read most often? What blogs are they following? Do they get their news from traditional media sources? Your content will need to go where your audience is. Find where they are and what content resonates on those channels. Then utilize that information to determine what you create and how you promote it. Influencer marketing is a new term, but it’s hardly a new concept. Identify the personalities and other thought leaders that influence your audience and have their trust. What topics and positioning do these influencers use that are resonating well? How can you partner with these influencers and borrow their credibility with their audiences? 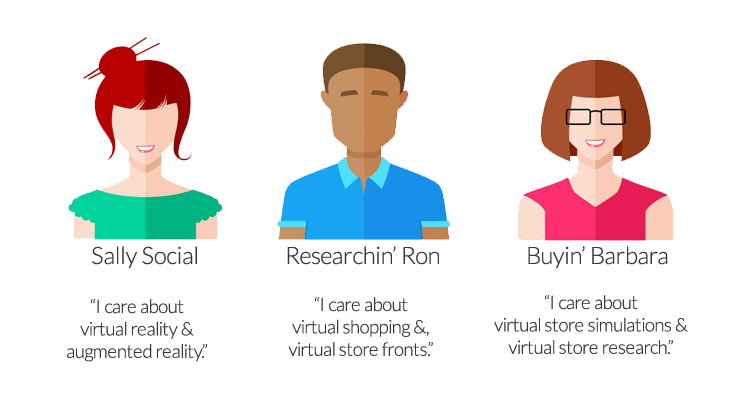 Build out your buyer personas. You probably already have a plethora of the information you can use to create buyer personas. 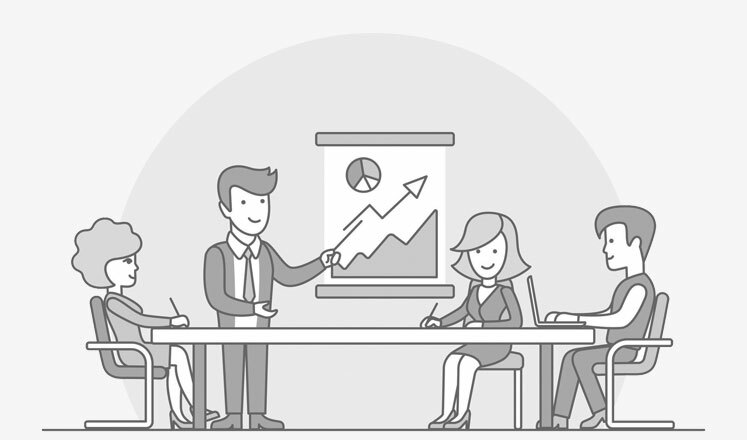 This process can borrow from research your product development teams have done as well. This is yet another part of strategy that a lot of marketers skip, but it’s imperative that you have buyer personas defined for your market. After all, if you don’t know your buyer, who are you marketing to? This is the big, burly beast that no one wants to touch. A content audit can take weeks or months, which is one of the reasons most companies never do it, or if they do take it on, they do it one time and never update it. This is unfortunate, because one of the biggest impacts you can make in your content strategy is to have a full content audit that addresses how well individual topics are already performing on your site. What topics are currently driving the most awareness to your site? When doing a content audit, you’re going much deeper than simple web analytics. 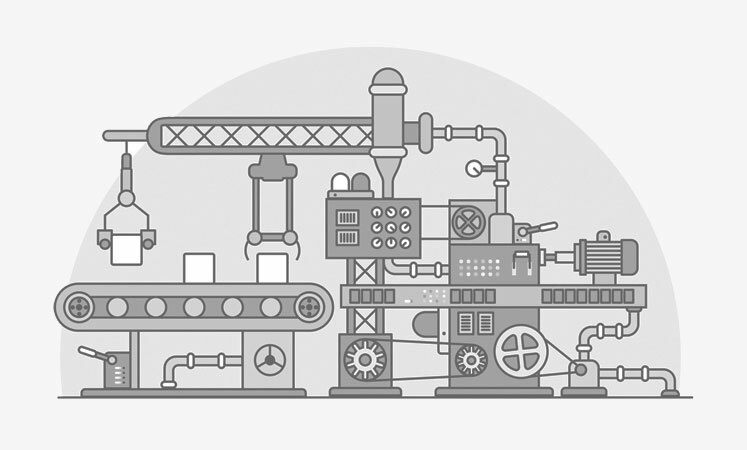 You’re diving into the topic-level detail of your site. What topics across your entire site are driving the most visits? What topics are currently under-utilized on your site, i.e., the topics that you’ve written about sparingly but that perform well above average? 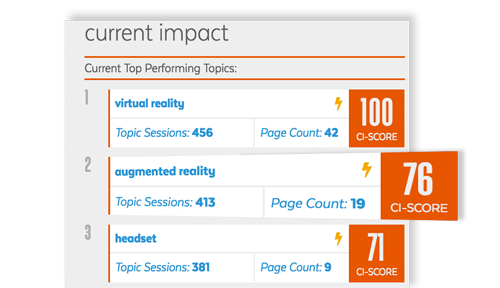 Identify your top performing topics with content intelligence tools like Ceralytics. Understanding the topics that drive the most awareness to your site gives you clear insight into how your customers and prospects currently experience your brand. This information helps shape the content that you should re-utilize and promote moving forward, which content should be updated to fit the latest trends, and which content may need to be retired. What topics are driving engagement? Similar to understanding the topics that drive awareness to your site, you need to understand which topics people engage. 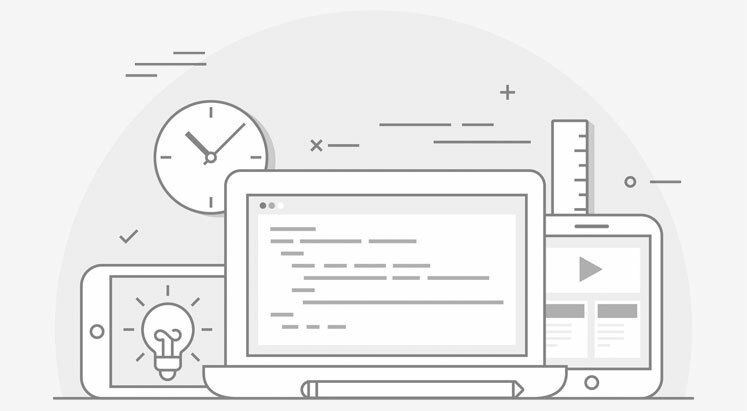 Which topics drive the most time on your site? Which topics bring people back to your site? 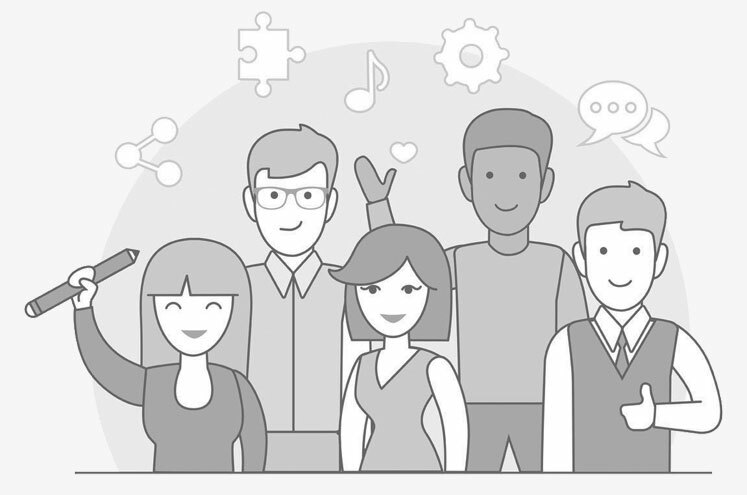 It’s one thing to get people to your site, but do they stay? That’s a big question that content marketers need to address. What topics are driving conversions? Unless you’re a publisher, unique views of your website probably don’t add up to a lot of business value. For most organizations, conversions are one of the most (if not THE most) important metrics by which they are evaluated. Identify the topics that people were engaged with immediately before they made a buying decision. This tells you not only what topics you should cover more in the future, but also what language is resonating with your actual buyer. Take this information and develop on-page ads or recommend articles with that language in them. This will help boost conversion rates, drive more conversions, and make you and your team look great. You can also utilize this information for your paid search campaigns. Understanding what’s resonating with people immediately before they make a buying decision may uncover what your audience is truly searching for when looking for solutions like yours. What does your existing buyer’s journey look like online? 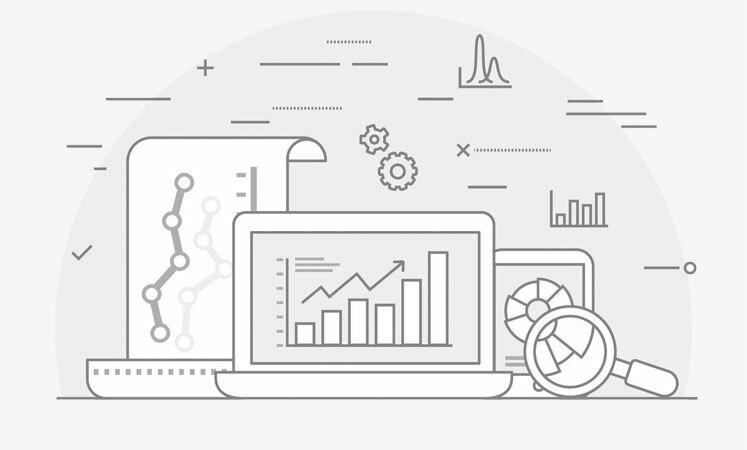 At Ceralytics we have done content audits on hundreds of websites and can tell you that the topics that drive awareness are rarely the topics that drive conversions. The process from awareness to conversion is often a journey for buyers and no single topic is a silver bullet that performs all three tasks of awareness, engagement, and conversion. Understanding the topics that engage buyers at different stages of the buyer’s journey gives you insights into how to create better ads, nurturing programs, retargeting campaigns, and content initiatives moving forward. How can you get real-time content audits? 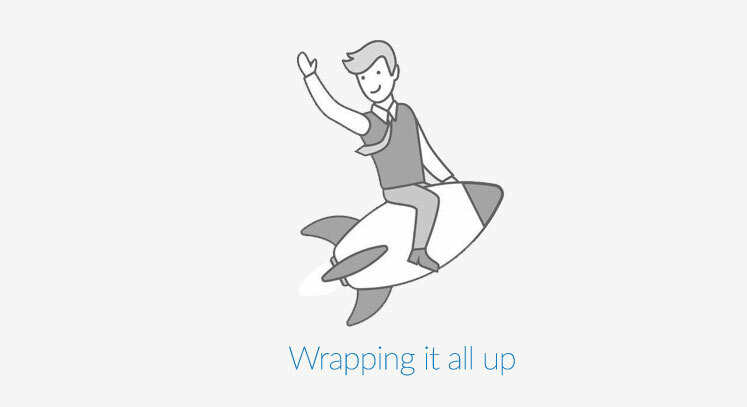 Content audits are incredibly time intensive. However, Ceralytics has automated the process through its cognitive AI marketing solution. This enables marketers to get real-time content audits and make smarter decisions around their marketing initiatives. If you’re interested in talking to us about it, let us know. Competitive intelligence is the key to a great content strategy. However, even industry leading influencers and publications often overlook it because getting in-depth insights on your competitor’s content can be very time consuming. Similar to content audits, competitive intelligence requires weeks or months to accumulate. And then, after you have the results, your competition could shift their tone or strategy and you’re back at square one, or worse, you’re making decisions off of bad data. But understanding how your competitors are positioned in the market is essential to any great business/marketing/content strategy. 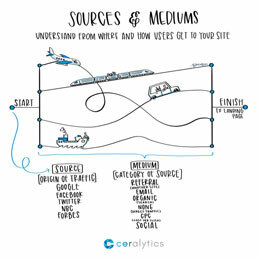 So let’s not overlook it any more due to resource constraints, because Ceralytics has automated the process of gathering competitive intelligence and does it in near real-time. Get outside of your company’s bubble. See the industry how your audience sees it. Your company may have a lot of expertise, but it’s doubtful you have a monopoly on the knowledge in the market. Step outside of the echo chamber many companies create for themselves. Understand what your audience cares about. See where your competition is having success. What topics do they use to position themselves? What topics perform best with their audience? What topics do they currently underutilize that you could capitalize on? What topics are your competitors seeing success with that you aren’t covering? These gaps present real opportunities for you to catch up. Sometimes these gaps happen because of blind spots in your company and other times it’s the result of your company not speaking the industry’s language. To be found, you need to speak the language of your buyer. To know that language, you need to analyze the industry with competitive intelligence. What do you write about most compared to your competition? How are they positioning themselves in the market that’s different than you? Identify the discrepancy and utilize it to your advantage. How does your brand uniquely deliver value to your audience? Why should your audience read your content over any other content out there? What do you do that’s different? Why should they trust you? What is the “soul” of your company that stands out in each piece of content? What’s your company’s true reason for existing? What is its soul? Make sure that comes out in every piece of content you create. 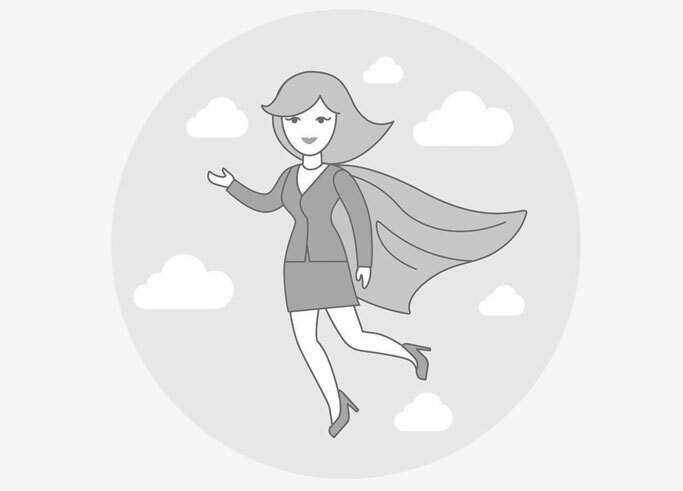 Create an editorial mission statement. Fast Company: Written for, by, and about the most progressive business leaders, Fast Company and FastCompany.com inspire readers and users to think beyond traditional boundaries, lead conversations, and create the future of business. What mediums will you be focused on? Based on your audience and their needs, this should be relatively easy to answer. If your audience is interested in seeing how to do certain things, videos are probably a good bet with blog post back-ups that include step-by-step instructions. Does your audience want more in-depth knowledge about topics in your industry? Perhaps webinars and white papers would be better suited for them. Is your audience about quick hitting information? Perhaps quick posts on social channels with short videos or blog posts are the key. Where will you be publishing content? What are the channels where you’ll be publishing content? Based on your audience’s behaviors this could be on your own website, social channels, paid media, sponsored posts on industry publications, or any other number of channels. Obviously, what you create also determines where it’s published. How will you be creating the content? Will you rely on your own content team to come up with all content or will you utilize outside resources? What’s the frequency of creating content? Not only how many times you’ll be posting new content, but also how many times you’ll be repurposing older content into new mediums. Pay Per Click – Search engines, paid social, etc. Take everything from your content plan and create a content calendar that is shared within your department/group/company. This content calendar outlines the tactical details of what’s being published, when, where, and by whom. Great content marketing strategies don’t happen by accident, and they aren’t created overnight. The more effort you put into your content strategy upfront, the better your results will be down the road. 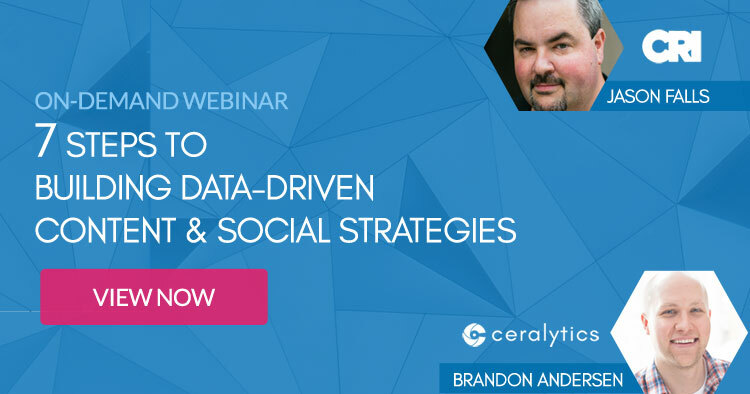 Ceralytics helps brands create data-driven content marketing strategies with our content intelligence software and team of analysts. If you’re interested in learning how we can help you, let us know! Want to dive further into these steps and see how your social strategy is also impacted by them? Check out our webinar with Jason Falls of the Conversation Research Institute.